You're on fire. Click an image to view full. 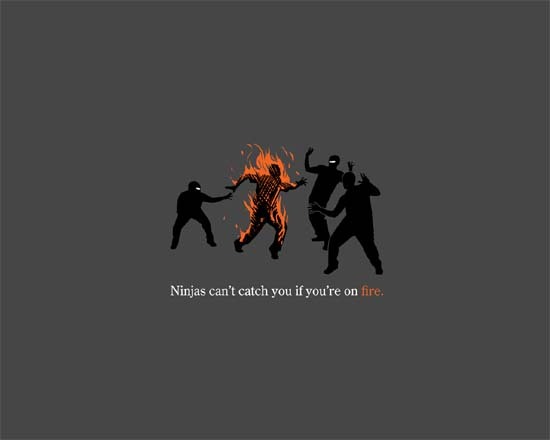 So now you know how to avoid being caught by ninjas. thanks, i've always wanted to know that! Thank ya! 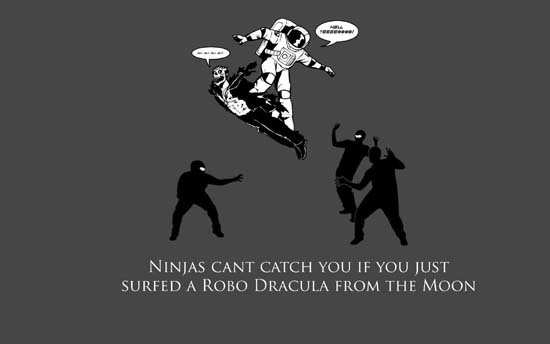 They also cant catch you if you're wearing a tuxedo made entirely out of horribly smelling french cheese, the ninja's natural enemy. @ S1x Legi0ns: I didn't know French cheese was a ninja's natural enemy. Is it like kryptonite to them? @ Anonymous (#6): Yeah, good luck with that. I've had to resort to setting myself on fire. Surfable Robo-Draculas are hard to find, and space suits cost $12 million.